urkish President Recep Tayyip Erdoğan and Egyptian President Abdel Fattah al-Sisi violate human rights to great extremes in their own countries as they “suppressed any peaceful protest” against their rule, Human Rights Watch Executive Director Kenneth Roth said in launching the “World Report 2017. 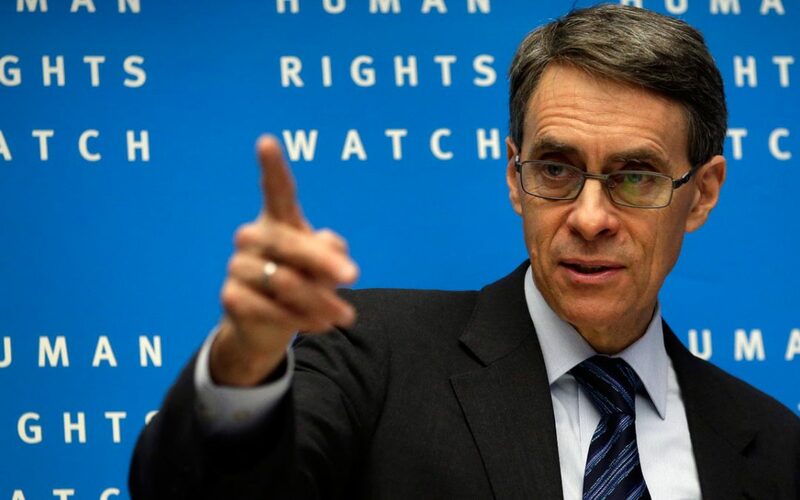 Speaking in a two minute, 26 second video posted by HRW for the introduction of “World Report 2017,” Roth stated that the rise of populist leaders in the US and Europe encourages abuse by autocrats around the world and poses a great threat to human rights across the globe. According to Roth, strongman leaders in Russia, Turkey, the Philippines and China have substituted their own authority, rather than accountable government and the rule of law, as a guarantor of prosperity and security. “People like President Erdoğan in Turkey or President Sisi in Egypt, at first, had great popularity when Erdoğan went against the alleged plotters of the coup, or Sisi went against the Muslim Brotherhood. But each took that willingness to violate human rights to great extremes as they suppressed any peaceful protest against their rule. The US-based rights group HRW released its 687-page World Report 2017, which reviewed human rights practices in more than 90 countries, including Turkey.